Support bracket fitted to front panels which mount to the front subframe via pear drop mounting 21A2624. Also available on Front end panel assembly HYK4209 and HYK4209A. 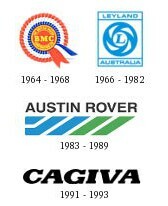 These are designed to fit late Australian, all Portuguese and Cagiva models.